This year I sold my artificial Christmas tree and purchased a fresh Fraser Fir. This is the second time in my life I have done this and I have to say I will never go back to an artificial tree. The tree is beautiful and the smell, oh my, it’s heavenly. They say smells are powerful memories and having this scent in my home reminds me when I would visit my sweet aunt. The minute she opened the door I would smell her Christmas tree. 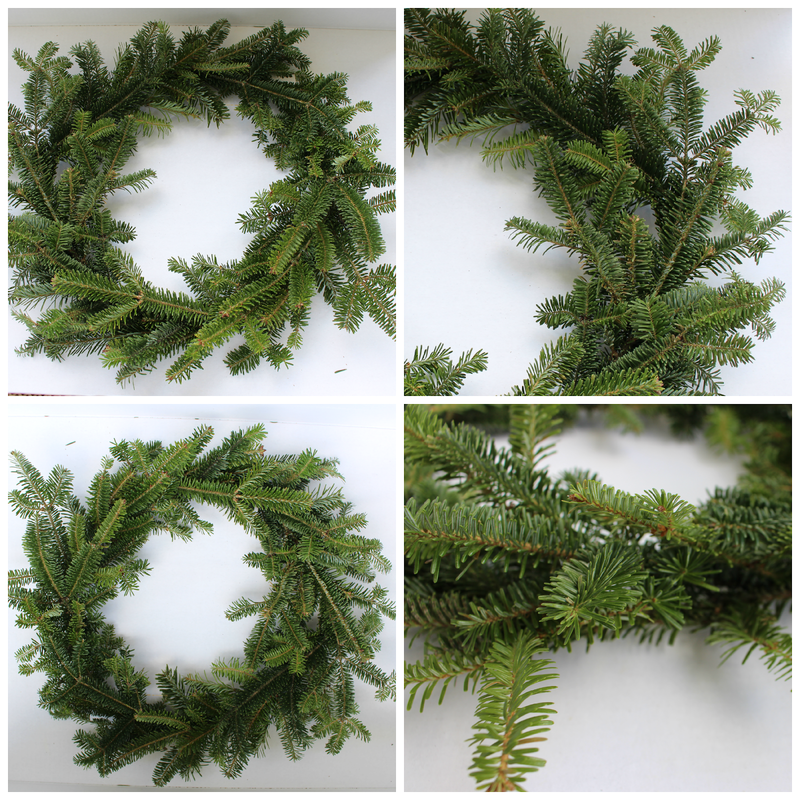 Good times, so today I am sharing a lovely and easy Fraser Fir Christmas wreaths. 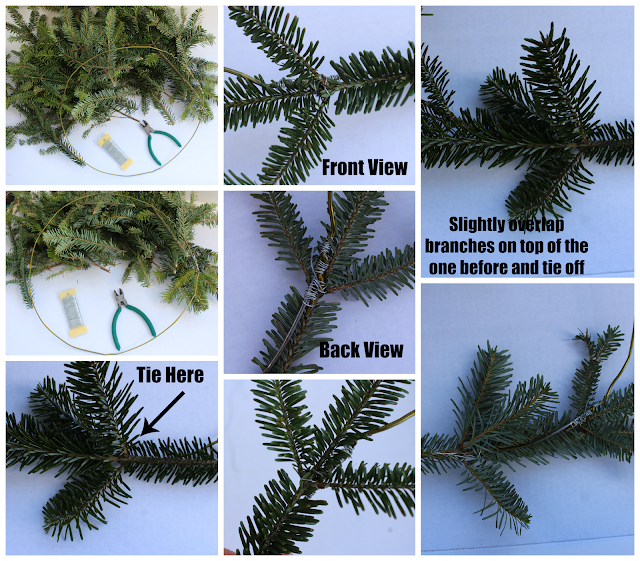 Did you know most places that sell real trees will let you take the clippings for free? This wreath is going to cost you nothing but your time. Cut several pieces of floral wire approximately 4 inches. Placing the first branch on the wire hanger and tie off. Continue to lay each branch slightly over top of the one before the other and tie off. The first round will looks like this. It’s pretty full but it can use another round of branches. I continue to add another round of branches and I made sure to tuck the end of the branches underneath the first roll. Once I was done with the second round it was just adding a few here and there to give it the fullness I desired. Here are the two finished Christmas wreath. I love it and my home smells amazing. 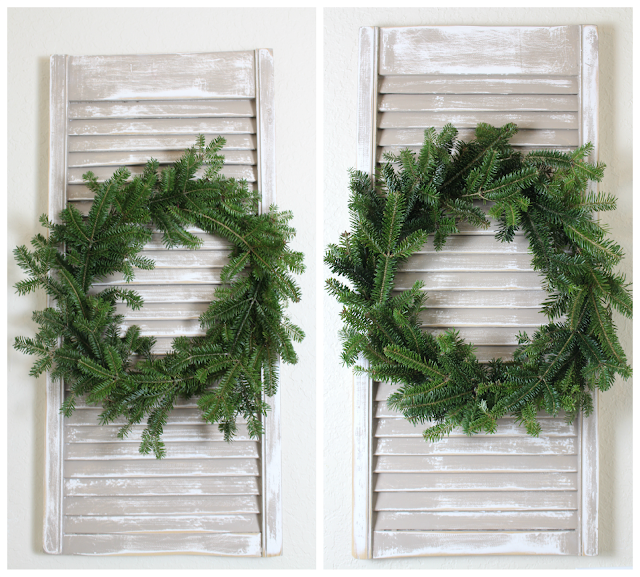 I love the beauty and the natural looking wreaths so much better. Thank you for having me Dee and wishing you all a very Merry Christmas! Have you seen my latest PotteryBarn Silhouette Reindeer Knockoff Project? Vanessa is the CSI Project’s Crafts Contributor. Be sure to follow her!!!! Go say hi! I like your wreaths, so pretty! Great tutorial as well, thank you! I adore anything natural and fresh. So, I’m a fan of your fresh Christmas wreath. I’ll be making three for my home, too.